Surpreende como uma país do porte da Coréia do Norte tem um programa espacial, desenvolve projetos na área missilística e pesquisa nuclear de ponta, enquanto no Brasil os investimentos nos programas espacial e nuclear e na indústria de Defesa ficam legados a segundo plano… É isso aí! Pra frente, Brasil! North Korea will launch an earth observation satellite next month to mark the 100th birthday of its late founding leader Kim Il-sung, the state news agency KCNA reported on Friday. The Unha-3 rocket carrying the Kwangmyongsong-3 satellite will lift off from a launch pad in Cholsan, a coastal town in the country’s northwest, between April 12 and 16, a spokesman for the Korean Committee for Space Technology said in a statement carried by KCNA. “[We] will strictly abide by relevant international regulations and usage concerning the launch of scientific and technological satellites for peaceful purposes and ensure maximum transparency,” the spokesman said. 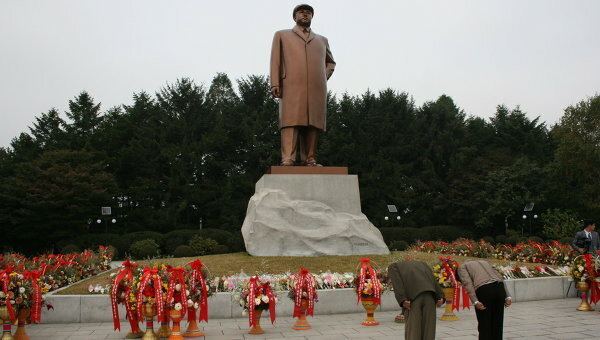 Kim Il-sung, revered as the Eternal Sun of Mankind in North Korea, ruled the impoverished communist nation for nearly 50 years before dying in 1994. His birthday, April 15, is commemorated as the Day of the Sun. Massive celebrations are planned for the centenary of his birth. The announcement came just two weeks after Pyongyang agreed to suspend uranium enrichment, as well as nuclear and long-range missile tests in return for 240,000 tons of U.S. food aid. Next month’s launch is an opportunity for “putting the country’s technology of space use for peaceful purposes on a higher stage,” the spokesman said. A similar launch in 2009 drew international criticism and led to UN Security Council sanctions. The North claimed the satellite reached orbit but the United States and South Korea said the rocket fell into the Pacific and that the launch was a cover for ballistic missile tests. The United States says it is in consultation with its partners over North Korea’s announcement. “We are consulting closely with our international partners on our next steps,” State Department Spokesperson Victoria Nuland said. The launch is “in direct violation of its international obligations” and is “highly provocative,” she said. UN Security Council Resolutions 1718 and 1874 clearly and unequivocally prohibit North Korea from conducting launches that use ballistic missile technology. “Such a missile launch would pose a threat to regional security and would also be inconsistent with North Korea’s recent undertaking to refrain from long-range missile launches,” she said. Esse post foi publicado em Coréia do Norte, Segurança e Defesa e marcado programa espacial, programa espacial Coreia do Norte, satelite Coreia do Norte por Joanisval. Guardar link permanente.